Description: Often used as a spice or herb to add flavor to dishes, dill is the only species within the genus Anethum. Its seeds have great flavor and are used to add to foods such as soups and fishes, are used to flavor salad dressings and have made dill pickles widely popular. The plant itself is similar to that of fennel and grows to roughly 2-2.5 feet high. The seeds are very versatile and have been used for medicinal purposes for hundreds of years. In the middle ages, it was even used as a drug in charms to help thwart witchcraft. Today, oil from dill seeds are used in the manufacturing of soaps. . 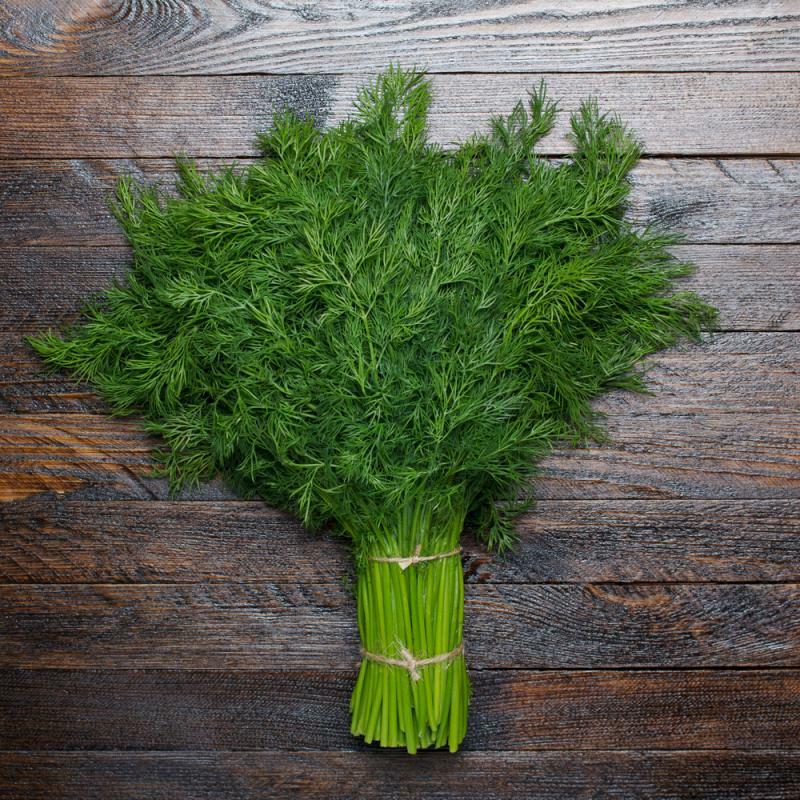 Kitchen Pharmacy: Dill has been used as a medicinal herb shortly after its discovery and today it has shown to be very beneficial in preventing bacterial overgrowth as well as preventing bone loss. Back to "Fruits and Vegetables"